To achieve the best sound quality while causing minimal damage to your vinyl, it is imperative that a turntable be correctly setup, particularly where adjustments of the tonearm and cartridge are concerned. With your turntable unpacked and the platter installed as per the supplied documentation, the first critical step is to ensure that your turntable is situated on a stable, level surface. A tilted turntable will cause the platter to spin in an uneven, inconsistent motion, resulting in speed fluctuations and hindering the ability of the stylus to track the record. Many turntables such as the Technics 1200 series offer adjustable feet which can be used to set the level. The adjustment should be made with a spirit level resting on the turntable’s platter, so that the platter itself, not the plinth of the turntable, is level in all plains. It’s usually advisable to make this adjustment with the platter mat removed so the the level can be placed on the flat surface of the platter. Once the turntable is level, we can turn our attention to the tonearm. In this section we’ll assume that the cartridge is already installed into the end of the tonearm, as would be the case with most budget turntables or those purchased as a package. The first step in setting a tonearm is to zero each adjustment. 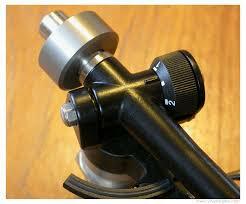 First, set the anti-skate or bias adjustment to zero, usually using a dial on the base of the tonearm or a slider beneath the arm itself, as found on many Rega tonearms. Some tonearms including those from Rega and Thorens feature a tracking force dial on the side of the arm, which should also be set to the zero position. Lower the arm’s lifter, using the lever usually located to the right-hand side of the arm. There are a couple of different counterweights, and the one you have will depend on the design of your arm. A 2-part counterweight is the most common, featuring a numerical dial on its front which is used to set the tracking force. 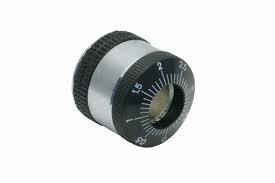 Some arms are supplied with a simple round metal weight, usually with a pair of rubber O rings in the centre. These weights are provided with arms that feature a tracking force dial, or with arms who’s tracking force must be set with an external gauge. once you’ve identified which weight you have, slide it onto the stub at the rear of the arm. If it’s a 2-part weight, the dial should face the front of the arm. Unlock the arm from its rest, and move the counterweight back and forth along its mount until the arm balances, floating horizontally in the air. Next, remove the stylus cover, and repeat this adjustment so that the arm floats without the extra weight of the stylus cover attached. Take care not to bump the delicate stylus into the platter, or it’s game over. Here’s where things get a little more tricky. If you’re using a 2-part counterweight, hold the weight in position and rotate the dial so that the 0 aligns with the mark on the arm. The counterweight should not have moved during this adjustment, which can be verified by removing the arm from the rest and checking it still floats. If not, repeat the adjustment until the arm is perfectly balanced, and the 0 is in line with the mark on the arm. Next, rotate the entire counterweight inwards to set your desired tracking force. If you’re using an Audio-Technica AT-LP120 or AT-LP5, for example, you’ll rotate the counterweight until the number 2 is in line with the marker on the arm, which will set the 2 grams of tracking force optimal for the AT95 cartridge supplied with those turntables. If you’re using a Pro-Ject turntable or the Reloop Turn3 fitted with the Ortofon 2M Red cartridge, you’ll set the tracking force to 1.8, which is the optimal setting for the Ortofon 2M red. Be sure that the counterweight and dial do not slip out of adjustment when you’re rotating them so as to get an accurate setting. If your arm features a tracking force dial, your job is much easier. With the counterweight positioned such that the arm is balancing, clip the arm into the rest and simply rotate the tracking force dial to the desired tracking force. For example, if you’re using a Rega Planar 3 with a factory-fitted Rega Elys2 cartridge, rotate the tracking force dial until 1.75 is in line with the mark on the arm. When you alter the tracking force, not only are you ensuring that the stylus will maintain contact with the record groove, but you’re also fractionally altering the alignment of the cartridge’s internal generator assembly. A cartridge manufacturer will usually specify an acceptable tracking force range in which the cartridge will safely operate. For example, an Audio-Technica AT150SA cartridge specifies a range between 1-1.8 grams, with 1.4 being the nominal value. The nominal value, usually the midpoint of the range is a great place to start, at which point the tracking force can be varied in increments of 0.1 Grams to achieve optimum sound quality. You’ll be surprised at how much of a difference just 0.1 of a gram can make. Providing you’re within the recommended range specified by the manufacturer, experimenting with tracking force settings should not cause any record damage, though it’s usually best to stick to values above the specified nominal figure. If you’re unsure, set the tracking force to the recommended figure. Setting anti-skate is a fairly simple process. On tonearms with an anti-skate dial, rotate the dial to the same number as your tracking force, though often a little less is optimal. For arms with a plunger or slider arrangement, try to achieve a setting as close to the tracking force as possible. The level of anti-skate compensation required varies across the surface of the record and there is no perfect setting. You can check that your anti-skate setting is optimal by lowering the stylus onto the record about a 3rd of the way in from the record’s outer edge. Watch the stylus carefully as it locates the groove and begins to play the record. If your cartridge leans in towards the centre of the record, you’ve applied too little anti-skate. If it leans outwards, you’ve applied too much. If it appears balanced as it lands and the record plays, and the cantilever looks to be central within the cartridge body, your anti-skate setting is optimal. Note. Some recommend setting the anti-skate using a blank disk, or the groove-less portion of a record. The stylus is placed on the smooth surface of the record, and the anti-skate adjusted until it has no tendency to move toward either edge. This is not an appropriate way to set anti-skate however, as there is no force being exerted on the stylus by the spinning record alone. It is in fact the modulations in the groove wall of the record that are responsible for the centripetal force against which anti-skate is designed to compensate, a force which is not present on a blank disk. Some turntables feature an anti-skate mechanism whereby a weight hangs from a thread, hung from a support at the back of the arm. The scope for adjusting these systems is usually fairly limited as the thread can usually only be placed into one of 3 notches which correspond to the amount of anti-skate compensation provided. The manual for your particular turntable will outline the adjustments and the tracking forces to which they correspond, but in general the middle notch will suffice for most cartridges tracking within the 1-2 gram range. 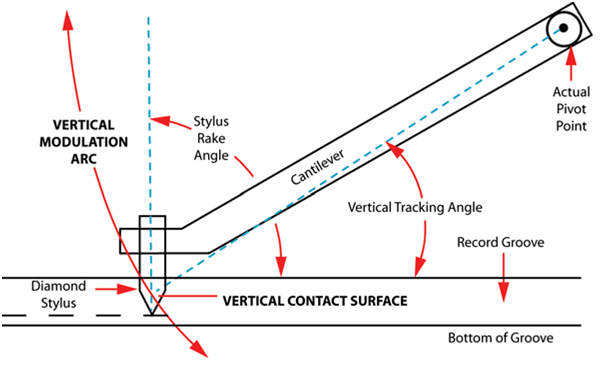 VTA, or ‘vertical tracking angle’ is a term used to describe the relative angle of the stylus cantilever to the record groove. It is often used interchangeably with SRA (Stylus Rake Angle), though SRA is in fact the relative angle of the stylus contact point to the vinyl groove and thus the 2 terms are not technically the same. That said, changing the VTA will effectively change the SRA. Not all tonearms feature a VTA adjustment, though if yours does setting it is simply a matter of adjusting the height at at the rear of the arm so that with the stylus sitting in the groove, the tonearm is parallel to the record surface. 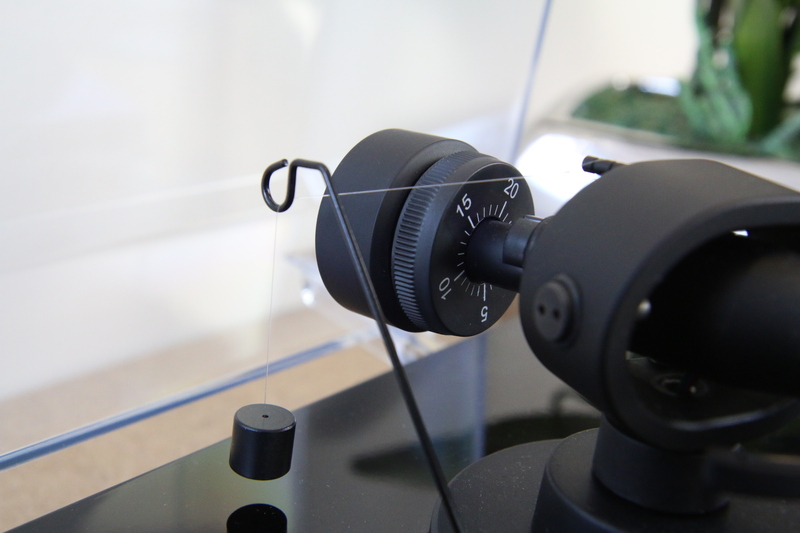 How you’ll go about adjusting the VTA depends on your tonearm. 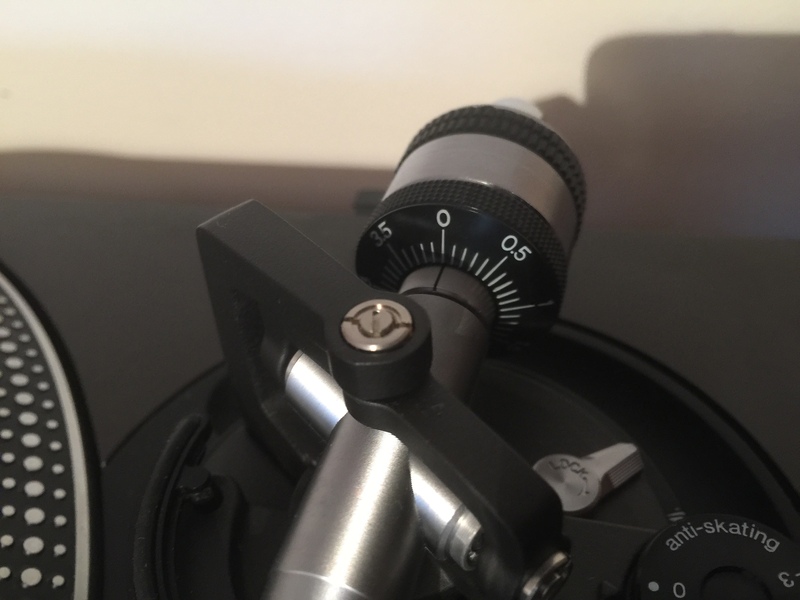 Some feature a screw adjustment at their base, while some such as the arm found on the AT-LP120 and the Technics 1200 on which it is based both feature a VTA adjustment dial with a calibrated scale to measure the VTA in millimetres. 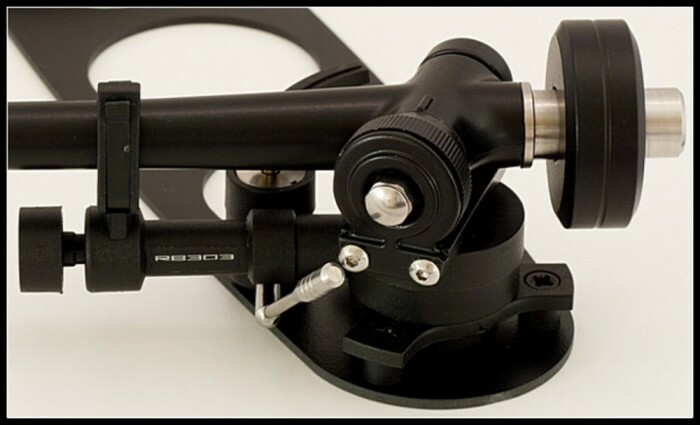 Other arms such as those from Rega feature no VTA adjustment at all, favouring the rigidity offered by a fixed mounting surface. 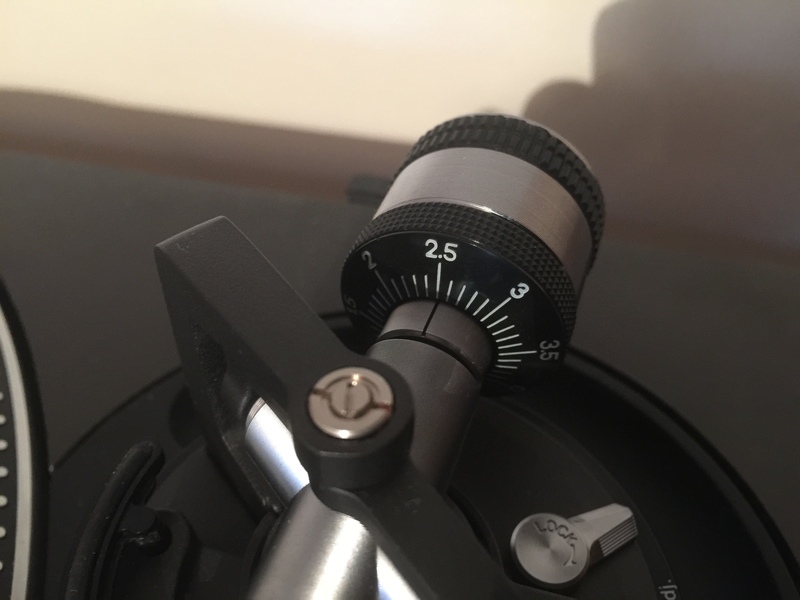 You can read more about Rega founder Roy Gandy’s stance on VTA adjustment in Rega’s white paper and in my review of their VTA adjustment accessory, found Here. While altering the VTA can affect the sound, altering the tracking force will also alter the SRA and will thus produce the same result. Some go as far as to adjust the VTA on a per-record basis which is unnecessary. Unless you’re using a cartridge with a particularly tall body, necessitating altering the height of the arm so as to prevent the cartridge body scraping the record, there is no real benefit to using an arm with the ability to alter VTA. If your arm has it, there’s no harm in using it, but don’t become too obsessive. Azimuth is the vertical angle of the stylus in the record groove. To accurately track both walls of the groove simultaneously, the stylus must stand straight in the groove. Many lower end arms don’t feature an azimuth adjustment though some do, usually via a screw at one end of the arm tube close to the arm bearing. Most arms are however setup at the factory for correct azimuth. In general you should only adjust the azimuth if the documentation supplied with your turntable clearly explains how to do so with your particular arm. This article is part of our Guide to Turntables and Vinyl series. Continue reading: Part 7, How to Install a Turntable Cartridge.